by looking we change the outcome. we look the less precise we become. to mark where flesh was. become distracted by the buzz and bounce. Newtonian physics. Einstein’s theories on relativity. The more we try to comprehend the less they have meaning. The theory of everything implies that we don’t exist. The chair is new today but the wood is ancient. seeming to exist. Our orbits exceed experience of finite flesh. By merely looking I have changed chair. A non-existent mover makes me think tree. I am lost in a forest of holes that leads me nowhere. free of who I was. Setu is a bilingual Hindi and English monthly journal of of Pittsburgh. This poem and two others were included 8n a special issue called Western Voices, selected by guest editor, Scott Thomas Outlar. The Tongue Has Its Secrets by Donna Snyder is a poetry volume rife with spirituality, sensuality, mourning, violence, and prayer. The language utilized throughout the books possesses what may be the most important criteria for establishing strong voice in writing: uniqueness glossed in polish. Snyder actualizes her vision for her work through meticulously crafted execution, resulting in the sense that the book’s many words, lines, and stanzas have all been cradled and cared for at length by the artistic mother who birthed them. is a woman at all times being pleasured. “The world silent. A dead stone. Donna Snyder wields the power of words, and hers is quite the weapon to behold. I would recommend The Tongue Has Its Secrets to anyone interested in female spirituality, sexuality, struggle, or hope. Though dense with references to gods the reader may not possess immediate knowledge of, the book makes all time spent researching its subject matter worth it for the experience of Snyder’s artistic divinations. 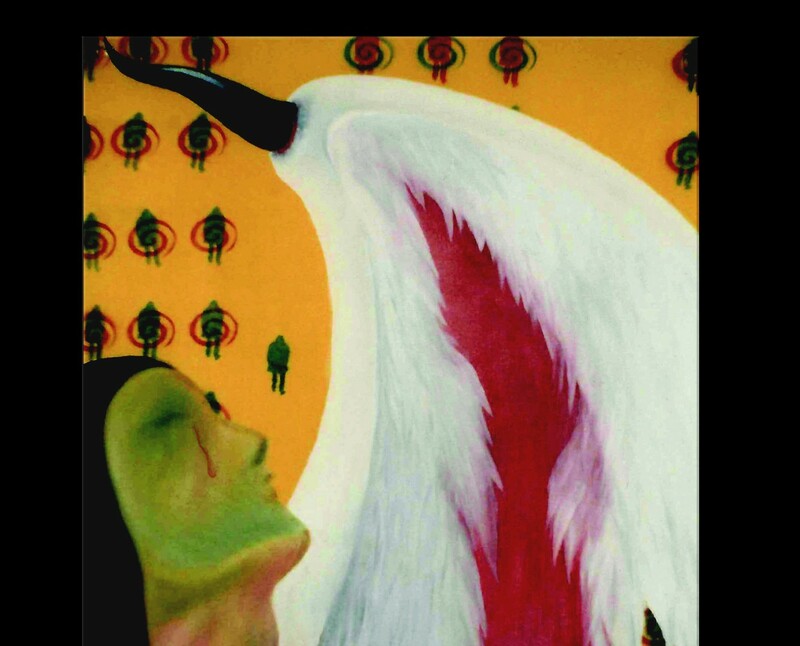 El Paso performance poet and human rights activist Donna Snyder has published a new book of her poetry, “The Tongue Has Its Secrets” (NeoPoiesis Press). The slender volume holds some very powerful imagery and might be thought of as setting forth Snyder’s ontological theory of poetry. After all, Snyder is a poet, and what is poetry but the deliberate revelation of secrets held by the tongue? And, closer to home, what proof is there that a poet exists, but for this revealed poetry, and what the poetry reveals? The book contains 57 poems, equally divided between three parts. The first poem, “The tongue has its secrets,” precedes Part 1 and is in the nature of a foreword. In it, Snyder begins to lay the foundation for the universe she later develops. To set forth such a vibrant and vivid world-view in a mere 30 lines of text on the first page of her new book demonstrates the power of Snyder’s mental and expressive capacity, as well as the tenacity of her work ethic.Snyder, a lawyer by profession, an activist by inclination and a poet by compulsion, has an extensive list of published work to her credit, including “Poemas ante el Catafalco: Grief and Renewal” (2014 Chimbarazu Press), a lamentation in three parts commemorating the lives, and untimely deaths, of three men central to her life. The three parts of her new book are not as clearly delineated, although one can sense a flowing movement from themes of Nature to Voice to Prayer. Throughout each movement, the Tongue, as a necessary component of the voice that guards the Secrets, and as a sexual organ, provides a constant point of reference. Other goddesses featured in this work include Dea Tacita, Ixchel, Mother Crow, Epona and Oshun. The reader may be excused for an occasional Wikipedia break. This also holds true for Snyder’s references to her non-deified muses, which include various fauna of the Southwest (mariposa, colibri, jaguar, eagle, coyote, deer, bear, serpent); a couple literary lights (Walt Whitman, Gertrude Stein); and a deep well of half-hidden languages women have invented to share their secrets in plain sight (Lingua Ignota, Nu Shu poets and the so-called “Venus of Willendorf”). In each case, the poet invokes the muse to give voice to the secrets of the tongue, and thereby creates her world. And even though life is but a long wait to die (in “Carmine”), the poet concludes with a prayer (“Supplication”) in which she asks that particular “great and beneficient energy flow” to cleanse her soul, heal and protect her, and restore her vitality. and mint or sage tea at noon. In the end, she is prepared to ululate! The reader may be forgiven for discerning a secret meaning from the text, and for allowing the Tongue to suss it out. Michael R. Wyatt is an assistant El Paso County attorney and has practiced law in El Paso for 28 years. What: Poet Donna Snyder will read from “The Tongue Has Its Secrets” during a BorderSenses-sponsored book release event. The event also will include an all-ages open mic. Where: The Rock House Cafe and Gallery, 400 W. Overland. How much: No cover charge. Information: Snyder, 328-5484 or donnajosnyder@gmail.com, or Richie D. Marrufo, facebook.com/BWOMS. Insight and heart from the source…. It was some years ago when I first heard the word ‘encorazonado’ but I understood it, felt the rightness of it, in that very moment. To live from your heart. To so embody your heart—your love, your generosity, your warmth, your light—that you would be known by those qualities. Known by your heart rather than by your mind or your reputation or your influence. I believe that what the heart most deeply longs to do is to give. Its truest function is to make a gift of itself. And I believe that art is born from this same longing. From a desire to give, to give of yourself, to give what is uniquely yours to give. Take a look at my review of Robin Scofield’s newest book, Flow. This is a poetry and book worth knowing.